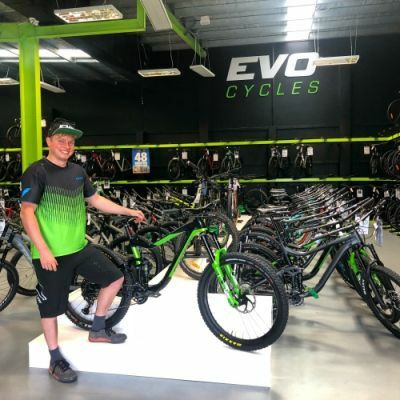 Milty rides a Giant Reign Advanced 1 and given the choice he’ll be out at Craigieburn or at the Christchurch Adventure park. When he’s not riding he’s building trails and when he’s not building trails he’s riding. Personally riding provides me with adrenalin, fitness, friendships and a constructive way to challenge myself. Cycling has also provided me with a career as a trail builder; I build new trails for everyone to enjoy. I also enjoy volunteering at RAD (Recycle A Dunger) bikes and teaching skills to friends and local riders.